Do you love being out on the open water? Is scuba diving one of your passions? Are you a huge fan of lobster diving? If so, then you just might want to share your love for the sport by wearing lobster apparel. Also, if you love to scuba dive, then showing off your scuba diving apparel is equally as important. Lobstering is a way of life because all “Tail Grabbers” show their pride with their tshirts and bumper stickers. 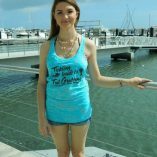 Today we are going to learn five reasons why wearing lobster apparel can benefit you. You might be asking yourself why should you be wearing lobster apparel. 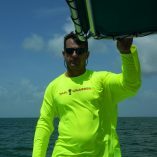 This funny sounding commercial diving apparel is something that every lobster hunter should be wearing this summer. Below are five good reasons why you and your friends should be wearing this unique clothing this summer. So make sure to check them out. If you are a diver that loves to hunt for lobster off the beautiful coastal waters of Florida, then you should be happy to share the sport you have chosen. By wearing lobster tshirts, people will ask you about what you have on and the meaning behind it. This will allow you to teach people about your sport and just maybe they too will want to join in. The more knowledge people have about your chosen sport the more likely they will be to accept it. Most commercial diving apparel is pretty bland. Sure they might have lively colors but they lack uniqueness. This problem of boredom is solved by adding some stylish lobster related design. 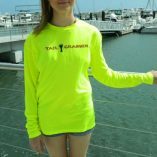 Adding some of these crustacean-inspired shirts to your own personal wardrobe is a great way to be more stylish and you will have tons of fun wearing them on and off the water. When you’re proud of what you do, most of us want to show it off. If you love diving, why not show off that love with some lobster related commercial diving apparel. People will see just how much you love your sport and the will respect it. Most of your friends and family members probably already know that you love lobsters. But if you want the rest of the world to know your love for lobster, why not show it off by wearing lobster tshirts? If someone you love simply loves to dive for lobster or they are just a big fan of eating them, lobster diving apparel will make the perfect gift. Great for the holidays and birthdays, this commercial diving apparel will bring a smile to those lobster-loving friends and family members in your life.